All races ! Live ! all the cycling calendar ! 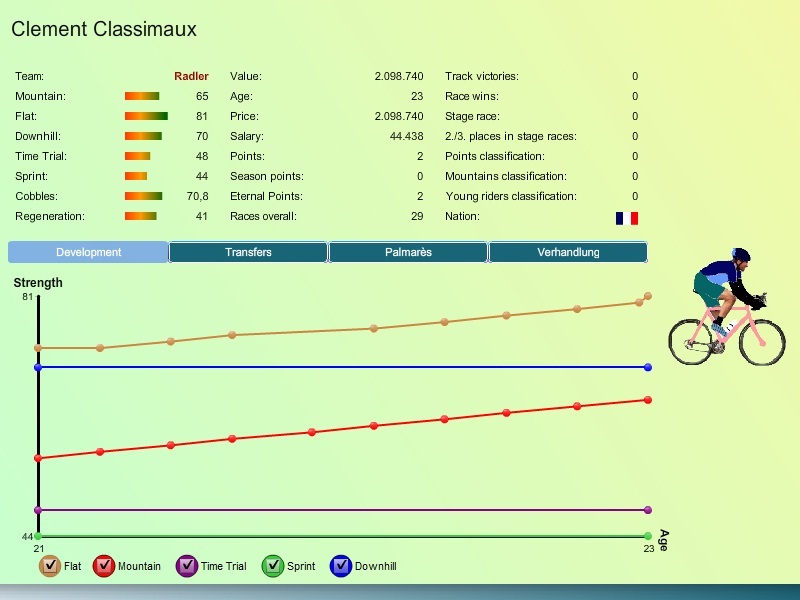 Compose and train your team and lead it to the victory ! 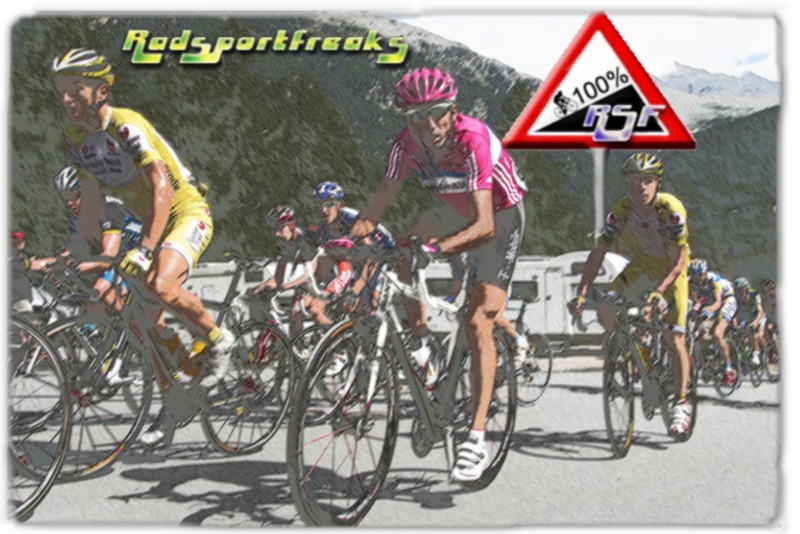 Adapt your tactic every km ! 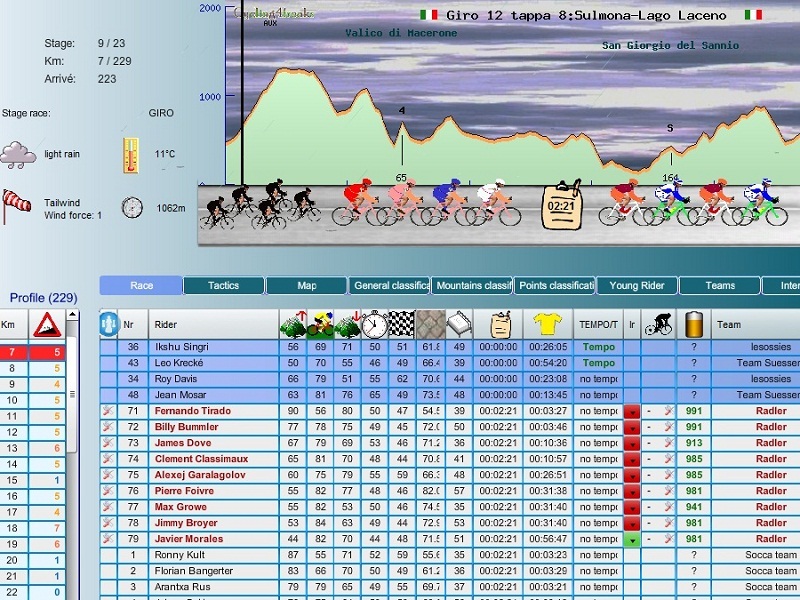 RSF is a cycling sport game, where you can race every km online. 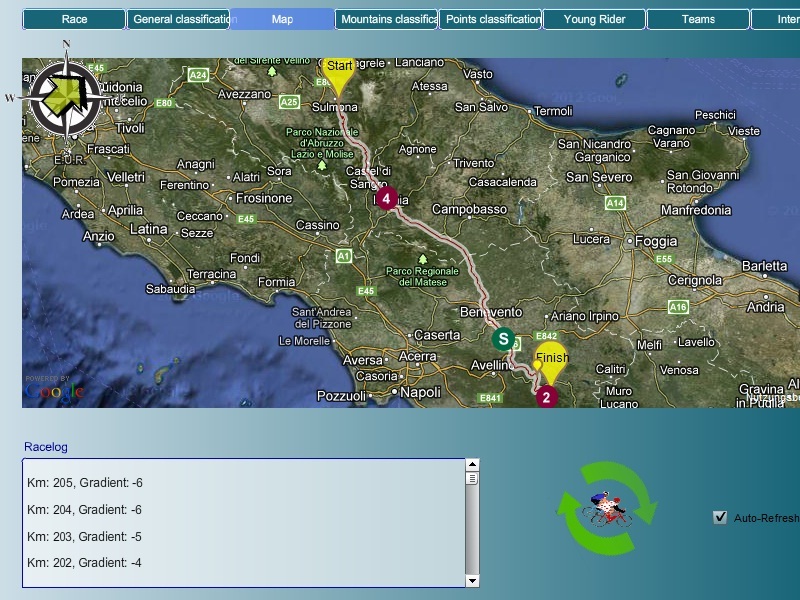 You obtain every km all informations about all riders and can adapt your tactic to every new situation. 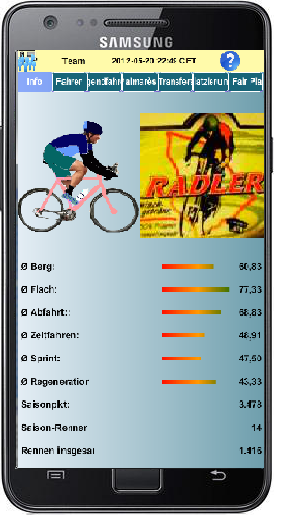 Enjoy the feeling of cycling sport!